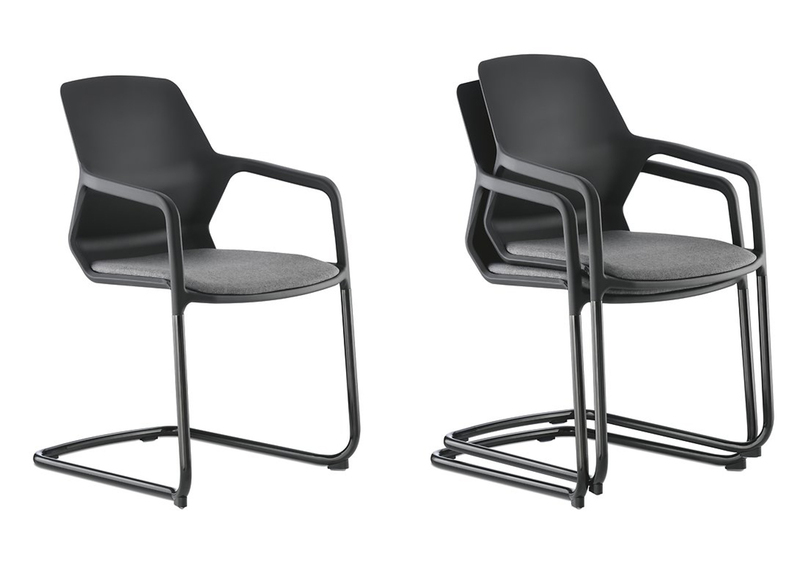 The Metrik cantilever chair is now available with a black chrome-plated frame. Contemporary interpretation of a cantilever chair: Metrik with a black seat shell and black chrome-plated frame. A new black chrome-plated frame type now joins the models with a coated or bright chrome-plated frame that is colour matched with the seat shell. This surface is much harder and tougher than the coating. Metrik now comes in a stylish black through and through and is easy to stack and stow away compactly, making it ideal for co-working spaces and flexible office environments.